This year’s recipients are Robert A. Freitas Jr. and Bill Joy, who have both been proposing solutions to the dangers of advanced technology since 2000, two years before the formation of the Lifeboat Foundation. Robert A. Freitas Jr. is a Lifeboat Foundation Scientific Advisory Board member and a Senior Research Fellow at the Institute for Molecular Manufacturing. He is author of the Nanomedicine book series, the first book-length technical treatment of the medical implications of molecular nanotechnology. Volume I: Basic Capabilities, was published by Landes Bioscience in October 1999; Volume IIA: Biocompatibility, was published by Landes Bioscience in October 2003. Rob has published four theoretical nanorobot scaling studies, including the respirocytes (artificial red cells), microbivores (artificial white cells), clottocytes (artificial platelets), and the vasculoid (an artificial vascular system). In a recent major collaborative effort, artist Gina Miller has finished work on a 3-minute long animation that nicely illustrates the workings of his proposed programmable dermal display (essentially, a video-touchscreen nano-tattoo that reports real-time medical information to the user, as reported back by numerous nanorobots stationed in various locations inside the body). He was also the peer expert reader in the fields of nanotechnology and cosmology for the 2005 Ray Kurzweil book The Singularity Is Near : When Humans Transcend Biology. In 2000, Rob wrote Some Limits to Global Ecophagy by Biovorous Nanoreplicators, with Public Policy Recommendations which showed that in the worst case scenario one uncoordinated grey goo attack at just one location could eliminate all life on the planet within three hours. In 2004, he coauthored Kinematic Self-Replicating Machines with Ralph C. Merkle. While others were debating whether self-replicating nanotechnology was possible, Rob took action and described the 137-dimensional map of the replicator design space which suggests a large number of ways that replicators can be preemptively disabled or rendered incrementally safer. This map for defense is the first list of its type that has ever been compiled, and it is very extensive. Recommendations for desired/undesired replicator characteristics (relative to safety) drawn from this list could be used in a very specific regulatory regime for machine replicators. View the multidimensional Freitas-Merkle kinematic replicator design space! His upcoming Molecular Manufacturing: Too Dangerous to Allow? which will be published in the journal Nanotechnology Perceptions in March 2006 and his upcoming What Price Freedom? in the journal Nanotechnology Perceptions in May 2006 discuss the implications of a future with advanced nanotechnology. 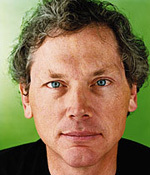 Bill Joy joined the venture capital firm Kleiner, Perkins, Caufield & Byers (KPCB) as Partner in January 2005. One of Silicon Valley’s best-known VC firms, KPCB was an early investor in Amazon.com, America Online, Compaq, Electronic Arts, Genentech, Google, Lotus Development, and Sun Microsystems. Bill was Cofounder and Chief Scientist of Sun Microsystems. He led Sun’s technical strategy from the founding of the company in 1982 until September, 2003. While at Sun, he was a key designer of Sun technologies, including Solaris, SPARC, chip architectures and pipelines, and Java. In 1995 he installed the first city-wide WiFi network. He has more than 40 patents issued or in progress. Before cofounding Sun, Bill designed and wrote Berkeley UNIX, the first open source operating system with built-in TCP/IP, making it the backbone of the Internet. His many contributions were recognized in a Fortune cover story which called him the “Edison of the Internet”. In 2003 he wrote Hope Is a Lousy Defense in Wired magazine. In 2005, he and Guardian 2005 Award winner Ray Kurzweil wrote the editorial Recipe for Destruction in the New York Times in which they argued against publishing the recipe for the 1918 influenza virus. In 2006, while others were debating whether a bird flu pandemic or other biological disaster was likely, Bill took action and helped launch a $200 million fund directed at developing defenses against biological viruses. The goal of the KPCB Pandemic and Bio Defense Fund is to accelerate innovations for worldwide pandemic preparedness and global health over the next three years, with a focus on surveillance and detection, diagnostics, vaccines and drugs. He also advised on Lifeboat Foundation’s web design in 2006.